A slew of worse-than-expected data for China’s economy in November was recently released, and some of the difficulties are expected to continue next year. Consumption growth slowed further in November, with retail sales growth weakening to 8.1 percent year-on-year in nominal terms, down from 8.6 percent in October. Thanks to the Double 11 shopping festival, sales of household appliances, daily necessities, food, office supplies, tobacco and alcohol saw faster growth in November, but sales growth for oil and oil products, cosmetics, medicine and furniture slid sharply, dragging on overall consumption. There are many factors behind the weak consumption, which is expected to become a major policy focus. Industrial production also showed some weakness. Value-added industrial output in China rose 5.4 percent year-on-year in November, down 0.5 percentage points from the previous month and marking the lowest level of growth this year. Investment saw modest growth. In the January-November period, China’s fixed-asset investment climbed 5.9 percent year-on-year, slightly faster than the 5.7 percent increase in the January-October period. Meanwhile, infrastructure investment remained at a relatively weak level, recording a year-on-year increase of 3.7 percent in the first 11 months of this year. The real estate sector cooled, as had been widely expected. From January to November, China’s property investment grew by 9.7 percent year-on-year, while floor space sales contracted by 1.4 percent year-on-year. Trade data fell more than expected due to the weakened impact from the front-loading of export orders. In November, China’s exports in yuan-denominated terms increased 10.2 percent year-on-year, down from 20 percent growth in the previous month. Imports rose 7.8 percent, down by 18.5 percentage points compared with October. China and the US have agreed on a trade truce, but the risk of a resumed trade conflict should not be underestimated. In addition, although the Chinese government has issued some policies aimed at boosting the economy, it is expected that the first half of next year could be challenging, as it will take time for the supportive policies to take effect and lift the economy. 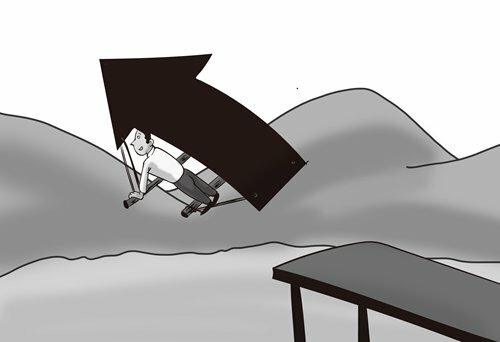 As a result, it may be necessary to lower China’s economic growth target for 2019. Some observers suggested setting the target at 6 to 6.5 percent, but in my opinion a goal of 6 percent or slightly above is more in line with the current state of China’s economy. Such a target would also allow more room for manoeuvre. Stability will be the focus of China’s economic policy next year. The politburo meeting held on December 13 has already confirmed stability as the priority, and this is expected to be a key policy goal at the upcoming Central Economic Work Conference. As regards the trade war, the politburo meeting also pointed out that the international environment is complex. It is essential for the US and China to reach a consensus on trade so as to avoid an escalation of the trade war in the short term. However, it is worth noting that the trade issue is just one aspect of the China-US relationship. Given their differences in economic systems and ideology, more friction is likely in the future. For this reason, only by maintaining the bilateral economic and trade relationship, the ballast stone of China-US relations, can we avoid an overall deterioration of bilateral relations in terms of politics, diplomacy and ideology, thus buying time for China’s economic restructuring. Regarding monetary policy, China’s deleveraging effort is coming to an end, so its monetary policy will be kept stable and loose. The financial data for November remained sluggish, with M2 growth at 8 percent. With financing difficulties continuing in the private sector, not enough funds are flowing to the real economy. Yi Gang, governor of the central bank, recently said that as China’s current economic cycle is downward, relatively loose monetary conditions are needed. This suggests that although the central authorities will maintain prudent monetary policy for 2019, interest rate and reserve requirement ratio cuts may be possible. Fiscal policy is also expected to play a greater role next year, in terms of cutting taxes and supporting infrastructure construction. China’s fiscal deficit will likely be raised further to 3 percent of GDP in 2019. But considering the 5.4 percent fall in fiscal revenue in November, which reflected the impact of tax cuts, the room for future fiscal adjustments will be limited. In addition, this year marks the 40th anniversary of China’s reform and opening-up. Accelerated opening-up and structural reform will still be the focus of economic work next year, which is not only needed for easing external pressure – it is also the fundamental solution for China’s current economic problems.